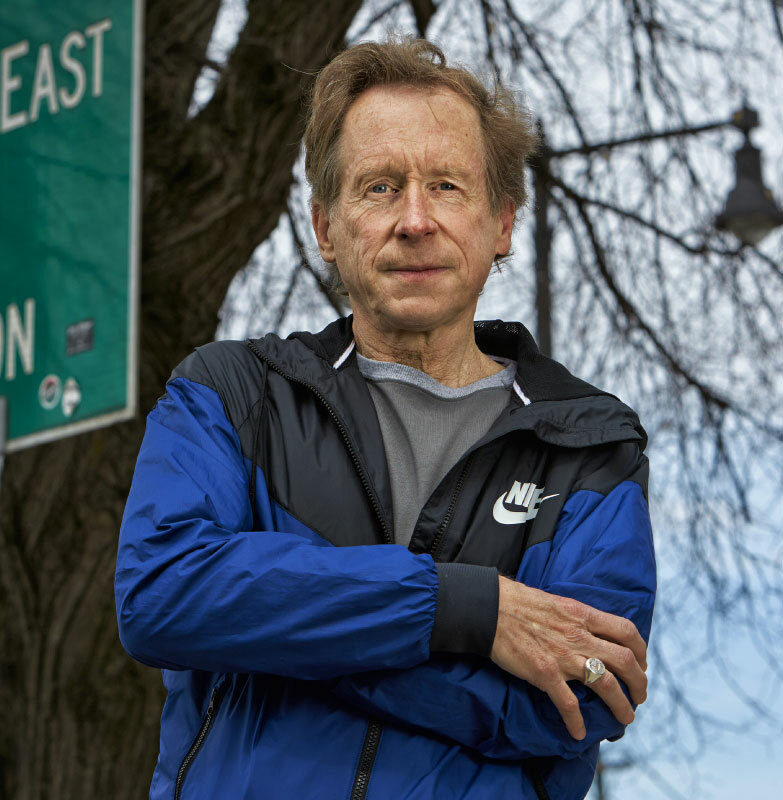 Hometown hero Bill Rodgers’ first Boston Marathon victory came in 1975. Wearing a scrounged T-shirt with boston hand-written in marker across the front and stopping four times along the way to grab a drink of water and once to tie his shoe, Rodgers finished with a new American record. He would win again in ’78 and ’79, becoming the face of the race. But even Boston Billy, as he came to be known, could be vulnerable in a race that covered 26 miles of public roads. In the last few miles of the course, near the Brookline border, past the spot on Beacon Street where tobacco-chomping Chuck Mellor broke printer Clarence DeMar in 1925, stands Coolidge Corner. A few days before the ’80 race, the phone rang in Rodgers’s running store not far from there. Rodgers, the caller said, would never make it past the Corner alive. It was just weeks after the USOC had voted to back President Jimmy Carter’s boycott of the Moscow Olympics. Rodgers had publicly protested, threatened to run Boston with a black armband. He didn’t, but now protection was called in; a wedge of police motorcycles flanked him throughout the race. He ran in a rage and crushed the field. “Oh, boy, was I angry,” Rodgers says. “I ran with a passion, a different intensity. I wanted it bad. But I don’t know if it was really from that call. I was a bit spooked, but it was more because of the boycott.